Alastair talks to BuzzyMag about his exciting transition from a career as a Scientist to a career as an award-winning Science Fiction author. JMW: Hello. This is Jean Marie Ward for BuzzyMag.com. 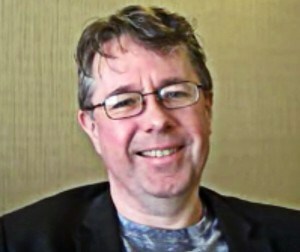 With me today is multi-award-winning, bestselling science fiction author, Alastair Reynolds. Welcome, Alastair. JMW: We’re so glad to have you here at Capclave. In 2016, you will be wrapping up your Poseidon’s Children trilogy. What was the inspiration behind the series? Alastair Reynolds: The inspiration for it goes back to, I think, about 2009, which was… maybe 2008, actually. It was the build up to the 40th anniversary of the Apollo moon landing, and I was fortunate enough to get a trip to Kennedy Space Center. I got to see the Saturn V rocket and the reconstruction of the first moon landing, the sound and light show, and everything like that. I was really stoked by it, and I was really excited about the possibilities of going back out into space, back out into the solar system. There was a general mood of optimism around then, anyway. It was the tail end of the Bush era. There was a lot of talk about going back to the moon and a path that would take us back to Mars, and I thought, “If ever there was a time to write a sequence of books that kind of take us from Earth out into the solar system, out into the wider galaxy, now is the time.” So for me, it was the perfect time to start thinking about a big, ambitious trilogy about a space-faring civilization. JMW: Why did you posit your space-faring civilization originating in Africa? Alastair Reynolds: I wanted to do something different, and I’d been listening to a lot of world music for a few… I mean, I listen to all sorts of genres of music. 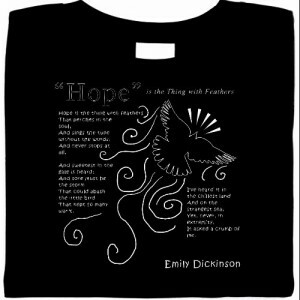 I’ve got a voracious appetite for anything new just to keep me from going mad, really, with writing. I’d listened to a lot of world music, and some things have clicked with me, and some things haven’t. I found myself listening to some music from a Ugandan musician called Geoffrey Oryema and really opened my eyes and my ears, I suppose, to listen to music from Africa. I started following various threads, and I started taking a real interest in West African music, particularly a lot of music from Mali and Senegal that I really enjoyed, and I suppose it was just the enthusiasm for the music got me thinking about adopting the sort of African focus for the novel. Other writers have done sort of Chinese-dominated futures, Indian futures, Brazilian futures, and that sort of thing. What we’re all trying to get away from is this sort of default assumption that the future belongs to the West. So I think that’s one of those tired and outmoded ideas that really needs to be consigned to the past in science fiction. JMW: Yes, and then, of course, there’s the equatorial boost that you get going into orbit. Alastair Reynolds: Yeah, I’d read a book quite a few years ago, a non-fiction book about how we go from Earth out into the galaxy. There’s a lot of sort of crazy ideas in that book, something like six steps to colonizing the universe. You can tell there’s loads of science fiction writers that sort of run across this book, and you sort of pick up little ideas that sort of flake off and show up in their stories. JMW: Flake off like old paint? Poseidon’s Children is a SciFi trilogy that follows the African society 11,000 years into the future. Africa becomes the spacefaring, technological super-power that leads the human species expansion into the solar system and beyond. Alastair Reynolds: Yeah, but anyway, there’s a notion in this book that if you were going to have a sort of ballistic launch system, like a huge catapult, then equatorial East Africa is a good place because you can use the…the fact that you’ve got Kilimanjaro there, that kind of gets you halfway to space to start with. So you kind of run a catapult up the side or up the middle of the mountain, and you start flinging stuff out over the Indian Ocean, so it’s not going to hit any land masses if it doesn’t make it to orbit. It’s actually a really good spot for a space launch system. JMW: Cool, cool. Poseidon’s Wake is going to be the last book in the series? Alastair Reynolds: I could return to that universe and carry on some of the stories, if I wished. I may well do so at some point in the future, but it’s not in my immediate planning. JMW: In 2009, you made news when you signed a groundbreaking 10-year 10-book deal with your publisher, Orion. How has this deal affected your writing life, or has it? 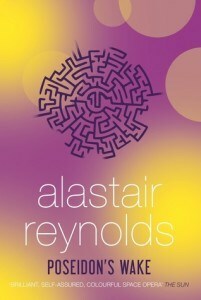 Alastair Reynolds: It hasn’t affected my life to a massive degree, because when I went into that deal, I had already written about 10 novels over 10 years, more or less, so I knew it was sort of within me to write another 10. I mean, I have no shortage of ideas. That was not the problem. I could easily come up with sort of 10 half-baked 1-line synopses for novels that I kind of intended to write at some point, so that was not an issue. It gave me security, which is nice, as a writer. It’s nice to have a three-book deal, but no sooner than you’ve started it, then you’re kind of thinking ahead to, “Am I ever going to get another book deal?” I think none of us take these things for granted. So having a 10-book deal was very nice, very nice from a job security standpoint. JMW: Have you explored ideas that you might not have explored if you didn’t have 10 books? You know, if you were stuck in a trilogy, has it freed you a little? Alastair Reynolds: Yeah, I would never have bit off a trilogy without the 10-book thing, because, say, I had a three-book deal. If I committed all that single deal to a trilogy, it wouldn’t have been something I wanted to do. But 10 books, I felt that it gave me a certain amount of freedom to consider a trilogy. JMW: And you do like to mix it up a little. You’ve written something steampunky. You’ve done time travel to 1959, and then there’s Doctor Who, but I’d like talk to you about another departure you’re working with, a departure that you’ve been working with Stephen Baxter. How did you and Stephen Baxter find yourselves working on a collaboration to continue Arthur C. Clarke’s A Meeting with Medusa? Alastair Reynolds: Well, the first thing is that Steve and I have known each other for a good 20 years, probably more. I think I met him pretty soon after I sort of entered the science fiction field, and I’d already been reading his stuff for a few years, primarily in Interzone Magazine, which is the magazine where I got my first break. I always counted Steve as one of my immediate peers, and he’s a good guy. He’s a nice guy to deal with. He’s a great writer, so I admired him on a professional level, but I also knew he was someone I could get on with. I’ve stood at bars long enough and chatted to Steve that I know we kind of see eye to eye on a lot of things. We’re of a like mind. As to why we ended up collaborating on the project that we did, it was really like serendipity, I think, because I’d read that story many, many times, A Meeting with Medusa, the Arthur C. Clarke story. It was one of the very first pieces of adult science fiction I ever read, actually. It’s always sort of been in the back of my imagination, I suppose, through all the years. But I started talking to Steve more and e-mailing him, and we were talking about collaborations. I said, “Well, if you and I were ever to collaborate on something, we should do the official sequel to A Meeting with Medusa.” Steve sort of jumped at it. He said, “I’ve just reread that story. We’ve got to do it.” So it was real, you know, strike while the iron is hot. And we both figured that we could find the time in our schedules to do a collaborative novel over the next year provided that we got various publishers and agents and the estate. Everyone had to be in agreement that it was the right thing to do. JMW: And you outlined it in a record two hours? Alastair Reynolds: Well, yeah, we’d sat down in a hotel bar over coffee, and we sort of outlined the thing, but we had been batting ideas around via e-mail for a few months before that. I think we both had a sort of notional sense of the shape of the story. We’d established early on that we wanted to keep it confined to the solar system. We wanted to keep.. the focus of the original story is Jupiter. We’ve wanted to keep Jupiter fairly prominent in our novel. We want to explore various ramifications of Jupiter. There were certain constraints we’d already put on ourselves. But yeah, we did sit down and sort of write it pretty fast. But that’s just Steve. Steve’s a sort of very… you can tell this guy’s collaborated before, because he’s not going to hang around sort of dithering about things. Alastair Reynolds: We also went into it with a clear mutual understanding that this was an outline. It wasn’t sort of holy. If we got to a point in the story where we felt we had to deviate from the outline than we should and we did, that’s exactly what happened. JMW: The outline goes out the window. You’re done with that, right? Alastair Reynolds: I’ve just finished my next solo novel. That’s off my desk for the time being. I don’t want to say too much about it, because I like to keep my cards close to my chest. Alastair Reynolds: It’s stand alone. It’s not related to anything else I’ve done, and it’s an attempt to write, I suppose, a fast, fun, colorful, kind of swashbuckling space opera. I suppose that’s how I would describe it, but it’s not like anything else I’ve done. JMW: Cool, cool. Is there anything you’d like to add? Alastair Reynolds: Well, I’ve got the freedom to work on a few short stories and things over the coming months. I mean, I’ve promised various projects to people, novellas, and short stories. I’ve got to get those off my desk, which I like. I kind of overcommit myself sometimes. I say yes to too many approaches for short stories, but in a way, it’s good, because I will end up writing a story that wouldn’t have existed before, and I like that. I like to keep up a fairly steady output of short fiction over a period of time. In fact, I’ve done over 60 short stories now, and we’ve got a best of collection will be coming out next year from Subterranean Press, and then there’ll be a British edition of it as well from my UK publisher. It’s a nice landmark for me, because this year is my 25th year as a professional science fiction writer. Actually, it would have been great if we could get it out this year, but it just didn’t quite happen. You know, after a quarter of a century in the field, it’s nice to have a retrospective book come out like that. JMW: Cool. Well, your fans have a lot to look forward to in 2016. Alastair Reynolds: I hope I don’t disappoint them. JMW: You won’t. Thank you, Alastair, and thank you for BuzzyMag.com. Find all of his existing work and keep up with his new releases by clicking below! 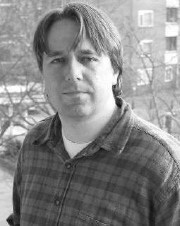 Former scientist Alastair Reynolds has written 12 Science Fiction novels and more than 50 short stories.